As a parent, I’m always looking for new items that keep my baby busy. At seven months old, I try to put my laptop, Kindle, and cell phone in front of him from time to time to familiarize him with technology. And, with excitement: whenever he sees these devices his face lights up and his hands grasp for the objects. In fact, as an educator I am aware that in the future there will be an overwhelming demand for college graduates who are educated in the computer science field. There will be approximately 1.5 million of these jobs available, but only about 500,000 graduates to fill them. Now, more than ever: your child needs to be exposed to educational and unique technological toys to spark their interest and desire to work on and with computers in the future. 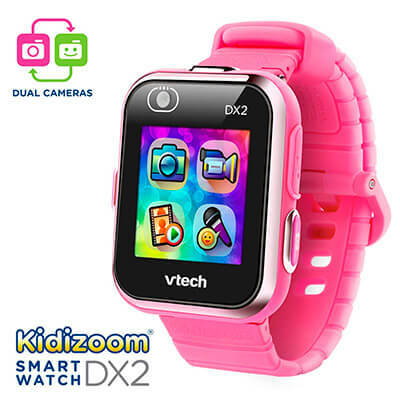 The VTech Kidizoom SmartWatch can help you all while entertaining and exposing your child to smart technology. 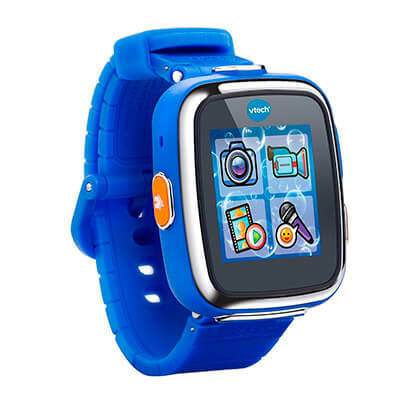 What is the Kidizoom SmartWatch? 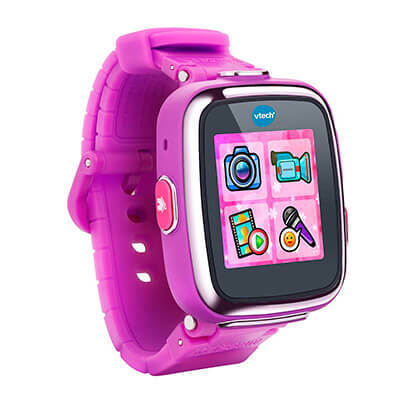 Created by VTech, the SmartWatch tells time and is designed to take pictures and videos any time, any place! Directed at children between the ages of 3 to 9, the watch has been said to be a hit with the little ones. Not only are they able to constantly know the time thanks to its digital face plate, they can express their creativity because they are given the freedom to capture all of life’s moments from the push of a button on their wrist. It’s easy to use and is ultra-durable. It’s composed of a rubbery material that can handle bumps and blows while being worn on the wrist during downtime, sleep time, and even play time. The watch helps children learn the importance of telling time and can be used as a learning tool in that aspect. The item also has a variety of clock displays so they are able to familiarize themselves with all the different ways a clock face may look. The watch allows children to play three games, which is ideal for long car rides or long waits at the doctor’s office or at restaurants. Kids can also experiment with a voice recorder, which allows them to have fun changing the sound of their voice due to voice effects. Your child can also learn how to set and respond to an alarm, which comes in handy over the weekends (“Don’t get out of bed until your alarm goes off!”). Users also like that they had a selection of colors to choose from (blue, white, green, and pink). The photos boast an average resolution (640 by 480 pixels) and they can be downloaded to a Mac or PC, which further develops little learners concepts about downloads and how to print or store them on the computer. Children are also able to use the USB cable to connect their device and visit the VTech store online to purchase additional games and clock displays. The battery doesn’t last as long as claimed, so it has to be turned off and needs to be charged after each use. The device also received some skepticism because it doesn’t allow children to be tracked while wearing it in case they become lost or abducted like some similar products do. It does not allow children to make phone calls if needed (that’s not a phone, right?). The watch is also only able to record six one-minute videos, which some argue is enough for a small child, but while others argue that it doesn’t give children enough flexibility to explore. While my son may not be ready to take advantage of this functional technological toy, I certainly plan to pick up a few to give to my nephews as a stocking stuffer around the holidays. After all, I want to give them a positive experience with technology so that one day they will be prepared and even interested to use it independently in the future, possibly for their future!